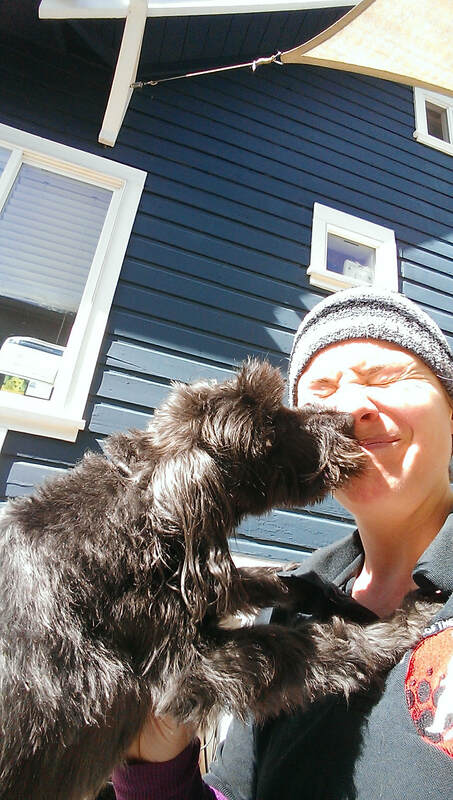 There's nothing like a candid surprise kiss from our Live-In Clients! Nice work Otto! Take a look at our photos page to see more great shots of our team in action. Below is a great VIDEO glimpse into the LIFE of the dogs in Live-in Training. Watch lead training dog - Rodeo strutting his stuff along the waterfront in Portland. At Leader of the Pack Dog Training we believe dogs deserve to live healthy, happy lives in loving and responsible families. 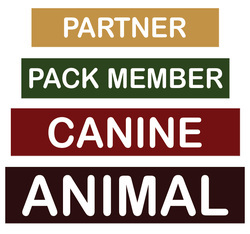 Our mission is to create a strong partnership between dog and pack leaders. As pack animals, dogs need and appreciate a strong and stable leadership structure. 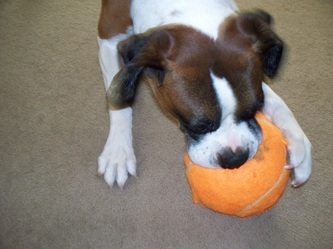 Without this a dog can become distracted, anxious and even unruly. 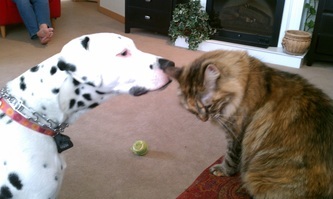 The good news - we believe every dog can be a Good Dog! It is up to the owners to learn to relate to, and capitalize on, their dog's pack mentality so that they can achieve the success they desire. 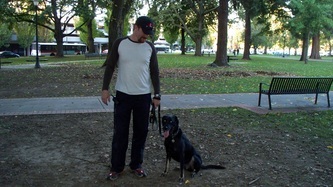 With Leader of the Pack Dog Training's variety of training and behavior modification programs you can find the tools you need to bring balance and happiness into your own pack. 99% of Students Would Recommend Us! We always look for and value the feedback from our clients and students and are pleased to announce that 99% of the students who took our training survey would recommend us! Plus, 93% of students gave Lead Trainer, Mark Dunlap, a rating of 9 or higher on a scale of 1-10! ​Click on "Download" to view the recommendation chart results yourself. We know we can help you and your pack, but you don't have to just take our word for it. Visit our testimonials page to read through more reactions and stories from clients, just like yourself, to learn what a difference quality training with LOTP can make! LOTP Hierarchy of Dog Needs! At Leader of the Pack Dog Training our goal is to teach our clients how to respect and work with a dog's basic instincts. To understand the roots of dog behavior it is important to understand the Hierarchy of Needs the behavior is fulfilling. Once all of a dog's needs are met it can finally lead the healthy happy life it deserves. First, it is important to remember the basic needs of the ANIMAL - these include things like water, food and shelter. 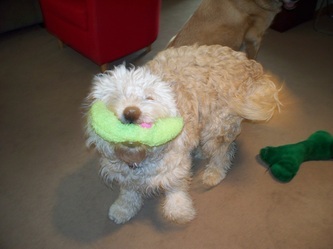 Secondly, we need to address the needs of the CANINE - these include exercise, work and play. Thirdly, we provide the structure for the PACK MEMBER - these include leadership, discipline and affection. Lastly, we are rewarded with a working PARTNER - skills at this level include the command and performance of advanced training behaviors, assistance dogs and the freedom of knowing your dog focuses and responds on cue to all verbal and non-verbal commands without delay. every dog can be trained. don't despair & don't euthanize. CALL US FIRST - IF WE CAN'T HELP - YOUR FIRST VISIT IS FREE! You can have a GOOD DOG too!